Immediately balances the budget — without raising taxes. Gives back, on average, $11,525 to each American family — every year — that they can invest, save, spend, or give away as they see fit. Pours $1.4 trillion into the productive, private-sector economy, stimulating massive investment in small businesses and creating tens of millions of new private-sector jobs. Stops the devaluation of the dollar and stabilizes prices, preserving American wealth. Forces politicians to eliminate destructive federal programs, regulations, and bureaucracies that do more harm than good. Examples include: stifling business regulations, the prohibition of marijuana, unnecessary foreign wars, and thousands of frivolous projects best left to the private sector (e.g., promoting the Hawaiian Chocolate Festival). Creates a boom in charitable giving. Trillions of dollars back in the hands of American taxpayers enables them to take care of others in need through their churches and private charities, and by giving directly to help friends, family, and community members in need. 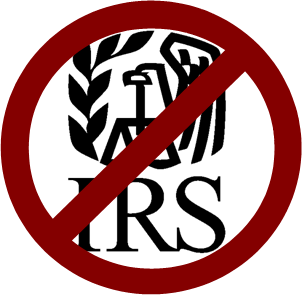 Eliminates wasteful bookkeeping needed to comply with IRS tax filings and audits, saving Americans 6 billion hours of their precious time and up to $378 billion in accounting costs — every year. Aborts the Democrats’ and Republicans’ plan to add another $5 trillion over the next eight years to the already perilously high $17 trillion federal government debt, sparing future generations from footing a bill they played no part in creating. Frees up billions of dollars for Americans to spend on music, entertainment, crafts, and the arts, enabling talented individuals — now unemployed or working in jobs they don’t like — to do what they love for a living. Forces politicians to eliminate government waste. Stops the growth in the interest due on the federal debt, now at $237 billion per year. This will help minimize this expense if interest rates ever rise, which is likely. Restores America’s reputation as the envy of the world, demonstrating that the American experiment of free, unfettered trade creates prosperity and alleviates poverty. This sets an example for poor countries, helping them rise from hardship to abundance. Click here to read the next article from this issue. Click here to return to the newsletter. Is Liberty Doomed — or Inevitable?